The majority of all dentists are using a dental laboratory as an outsourcing partner to manufacture dental implant restorations. But how about the dental laboratories, could they not also outsource a good amount of their manufacturing? Sure, they can. Just ask Steve Campbell, RDT. “From day one outsourcing has been a central point for the rapid growth and success of our dental laboratory. We started up with three people and today there are 16 of us working here. We have rapidly gone from a small to a much higher turnover. 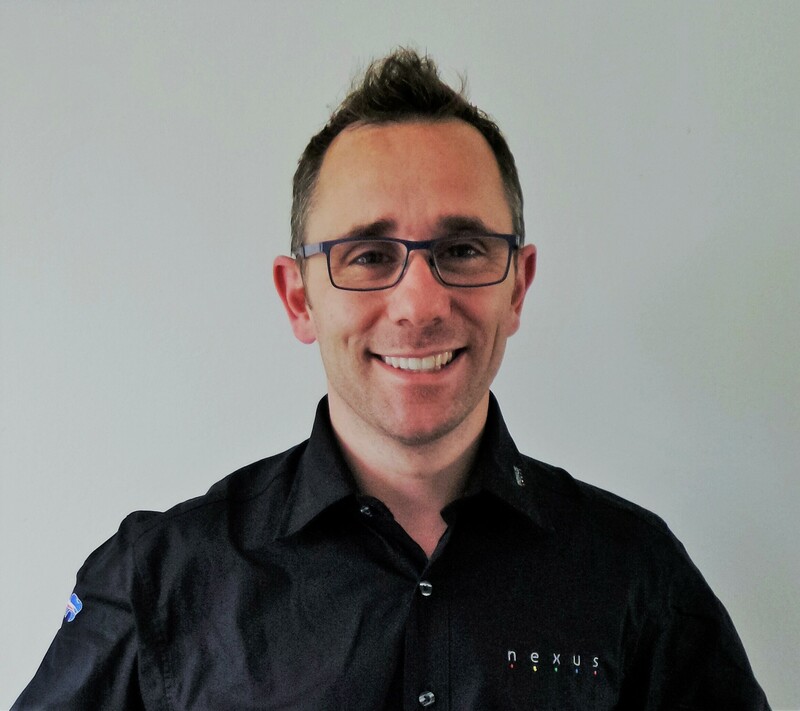 This is mainly because we choose to work with a reliable external partner, which allows us to be much more efficient with our time,” says Steve Campbell, dental technician and founder of Nexus Dental Laboratory Ltd in North Yorkshire, United Kingdom. Steve Campbell is a RDT with over 24 years of dental laboratory experience. He has for many years been a passionate ambassador for the latest technologies such as CAD/CAM solutions in the field of implant restorations. 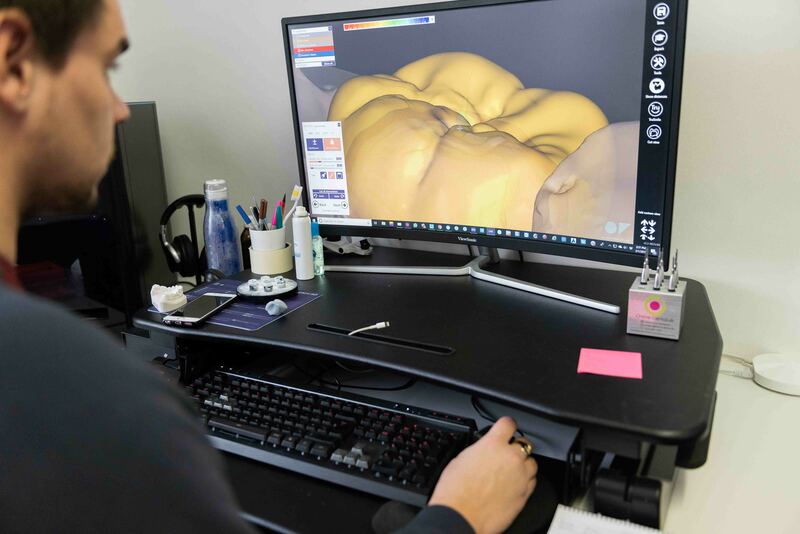 From his point of view the focus on CAD/CAM and a digital workflow is beneficial in many ways. Not least, it allows both the technical and surgical team to deliver better, more efficient and consistent results for their patients. Stepping into Nexus Dental’s laboratory feels more like you have entered a web design studio than a dental laboratory. The workstations consist of desks, computers and screens, no analog machines. “As skilled technicians we had a clear idea of dedicating all our time to our implant surgeons and patients instead of spending time on laboring. So, we started outsourcing that part from day one. Instead we invest our time in communication, to really be there for our surgeons, giving them a lot of visual tools. We invest immense effort in understanding them and in having time to go through all the ‘options’,” says Steve Campbell and adds that this way of working is all about quality – which also shows in the statistics. Remake incidents at Nexus Dental are down to less than 1 % and, according to Steve, the main reason is the reduction in miscommunication. 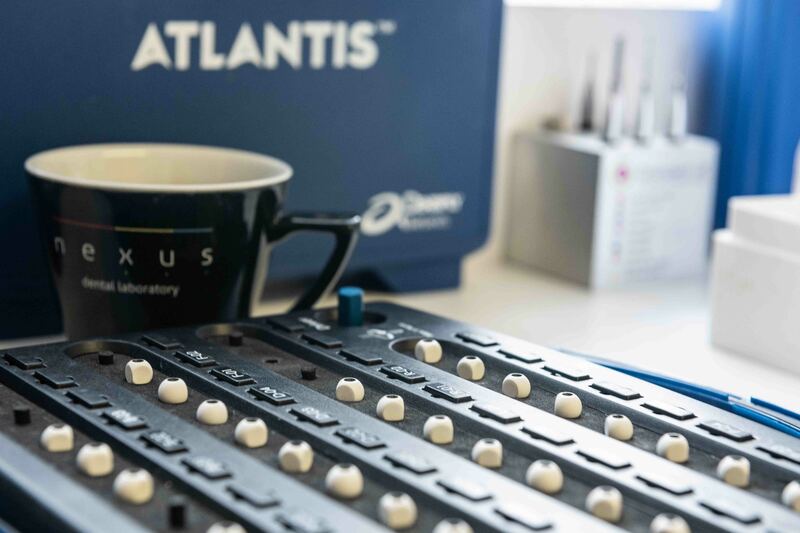 Steve understood that the Atlantis designers at the outsourcing partner Dentsply Sirona were manufacturing customized abutments every day, 365 days a year. He knew that a local dental laboratory can do a lot, but he also saw that they could never compete with the amount that they do, nor reach the skill level they gain when doing it. The team at Nexus Dental Laboratory Ltd.
“Becoming great at something takes continued, dedicated and focused practice. If you are doing that many abutments every single day, you simply become great at it. Instead, I use my time to work with my team, going through the structures, the planning, designing and communicating with my surgeons. I still do that last, final touch to the work, basically to secure the high quality we want to deliver and to make sure my clients and their patients are comfortable and happy,” Steve explains. Saving time is the number one benefit of outsourcing. Planning the business and guaranteeing that the job will be done, with continuous and excellent results every single time, are other benefits. 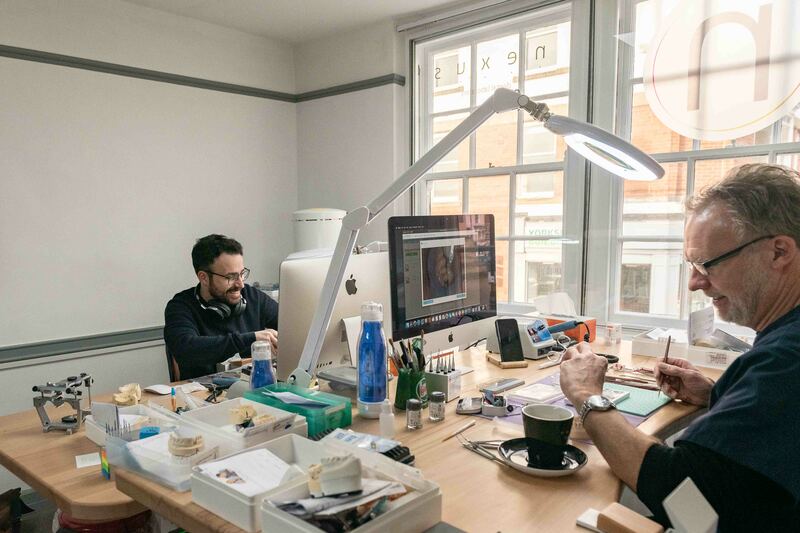 Looking ahead, Steve Campbell believes that outsourcing in the implant dentistry will become increasingly common, as dental laboratories will gradually face some major challenges in a few years’ time. Why? The average age of a dental technician in the United Kingdom is 54 years. There used to be about 38 teaching hospitals all around the United Kingdom. Now that figure is down to about 8 and the technicians are getting older. Soon the laboratory business won’t have the skilled people needed to fill the vacancies. Steve Campbell looks back at over two decades of experience as a dental technician. It’s been a journey with some truly remarkable progress. From laboring and analog work to digital workflows and outsourcing. Today efficiency is on everybody’s mind and outsourcing is a way to meet the client’s expectations of high quality, but at a reasonable price. However, as Steve puts it, it is still an ethical profession where you have to look to each patient’s best interests. Everything a dental technician does should be about people. Outsourcing – what’s in it for you? Download this pdf to learn more about valuable benefits from outsourcing your CAD/CAM implant restorations. Thomas Telfer, Managing Director of Dental South Studio in Tenerife, Spain. British dental laboratory that consists of three sites with two ceramic studios supported by an incoming case center and scanning/design suite. 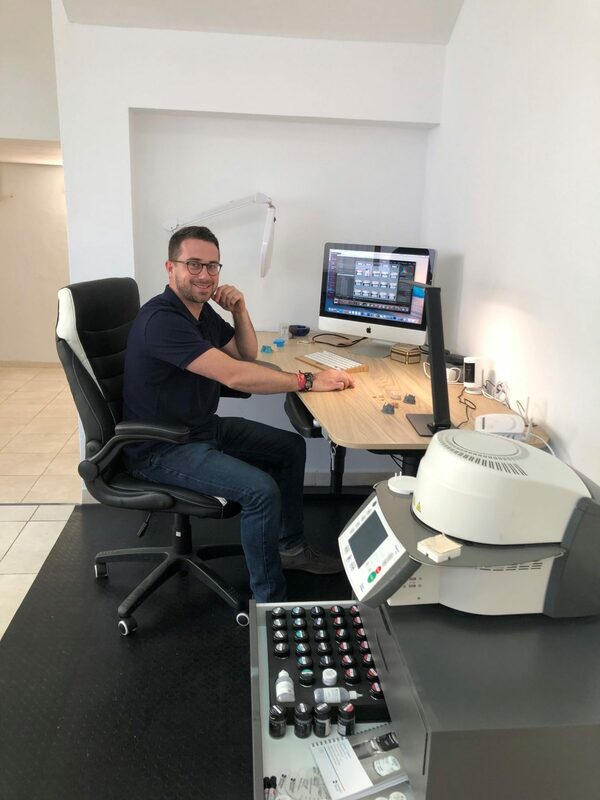 Recently, the latest ceramic studio – South Dental Studio – opened in Tenerife, Spain, with Thomas Telfer as Managing Director. Nexus Dental Laboratory, with 16 staff members and over 170 clients, has a yearly turn-over of £1.3 million and growing quickly. Profession: Registered Dental technician and Managing Director at Nexus Dental Laboratory Ltd in North Yorkshire, United Kingdom. Assignments: Serves on the board and committees of several UK dental organizations, including President at the United Kingdom Dental Laboratories Association. With convenient solutions at each step of the clinic-to-laboratory workflow, you can offer flexible treatment procedures to suit your patient’s individual needs. When outsourcing, restorations are designed and manufactured by Dentsply Sirona and finalized by the clinician and dental technician. Read more here.